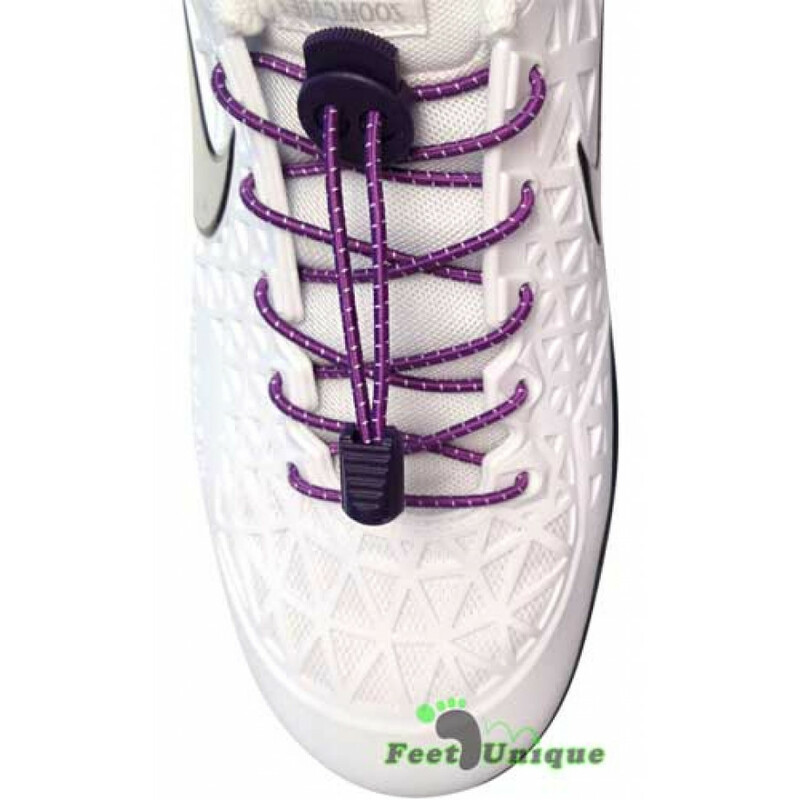 Introducing striped elastic lock purple shoelaces, the sleek addition to sneakers that are clearly better than any other laces in existence. You can tell just by looking at them. And once you try them on? There's no going back to those other, lesser ways to secure shoes. 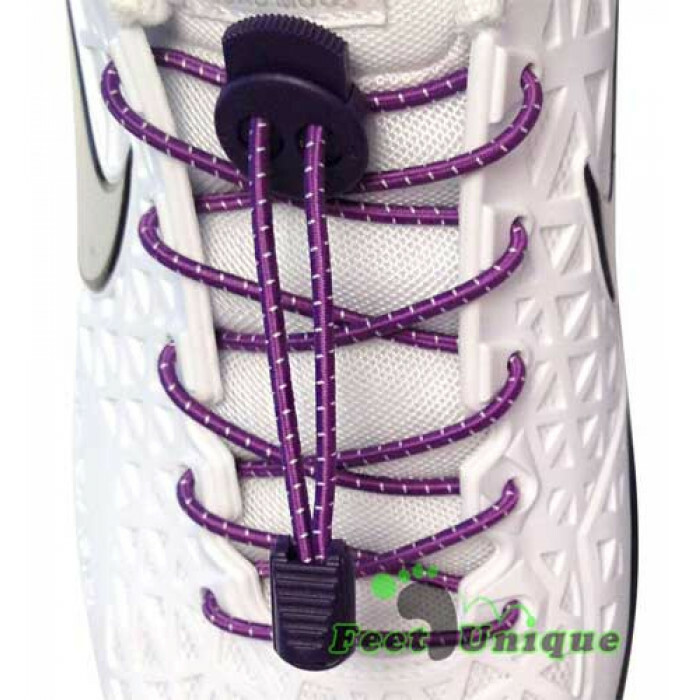 Convenience just met style and the two became these laces. They got to know each other, went out on a few dates, then got married and became one. And until they produce children, nothing is going to compare. The striped design of the white and purple—matching your solid-colored shoes or the design of your sneaks—will make every entrance feel like it happened in slow motion. Everyone will seem to glance over in awe at a snail's pace. And that's because the style will make the whole world stop and look. 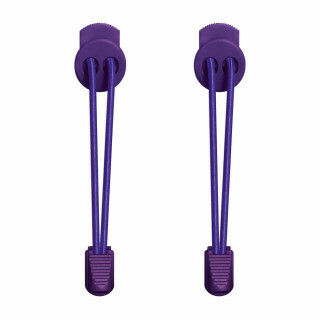 Also, they're designed specifically for enhancing your running, so you'll be going so much faster than normal, everything around you will appear to slow down. The elasticity of these laces provides an unrivaled flexibility, while the lock ensures incomparable security. The state-of-the-art materials mean they'll outlast the shoes, so you can make your next pair slip-ons too. And never bending over means you won't throw out your back, keeping you at elite athletic level for longer than anyone with old-fashioned laces. Striped elastic lock purple laces are your keys to better. Are you ready to unlock the possibilities?